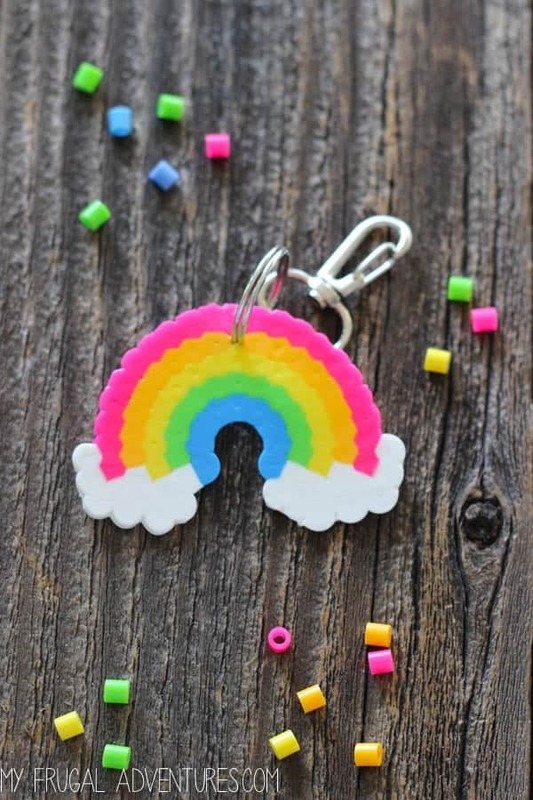 Colorful Rainbow Crafts for Kids You'll Want to Keep! 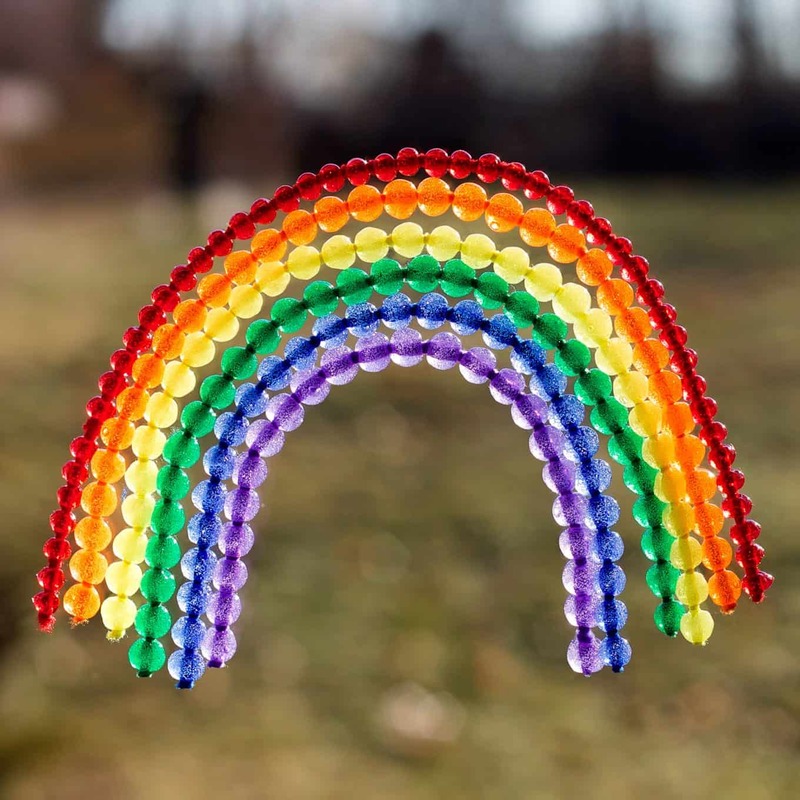 Home > Crafts for Kids > Colorful Rainbow Crafts for Kids You’ll Want to Keep! 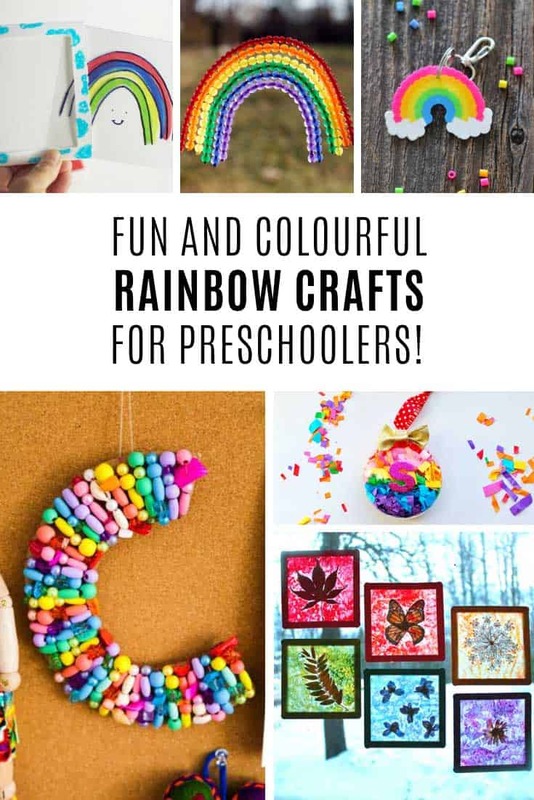 If you’re looking for rainbow crafts for kids we’ve got some super cute and colorful ideas that they will love making! 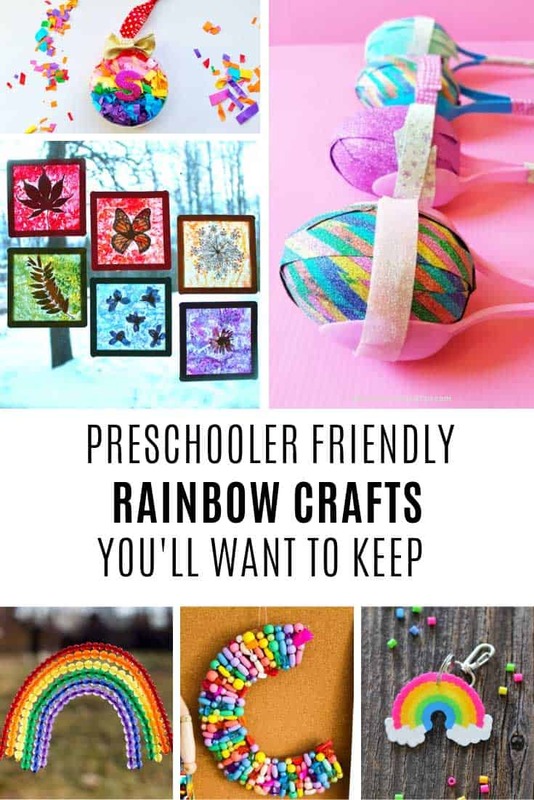 Today I’m sharing some fabulous rainbow crafts for preschoolers, and kicking off a new series! My daughter LOVES to craft and is happy to make things with anything and everything. But there are only so many bits of paper you can stick on the fridge right? And that’s why I started to steer her towards more “useful” crafts. Projects that we can either give as gifts or use as home decor, or things she can actually play with once she’s made them. So I’m scouring the interweb for fun projects that kids can make that you will be more than happy to keep! And like I say, we’re kicking things off with all things rainbow! This rainbow perler bead pattern was the very first one my daughter used when I bought her some beads. It turned out great and we actually skipped the keyring part and stuck it to the front of a thank you card she was making! 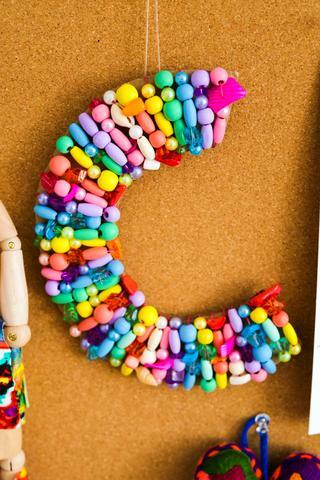 I LOVE this idea of using a rainbow of beads to make a monogram initial. This is something your child can hang with pride in their bedroom. Or maybe make as a gift for another family member? 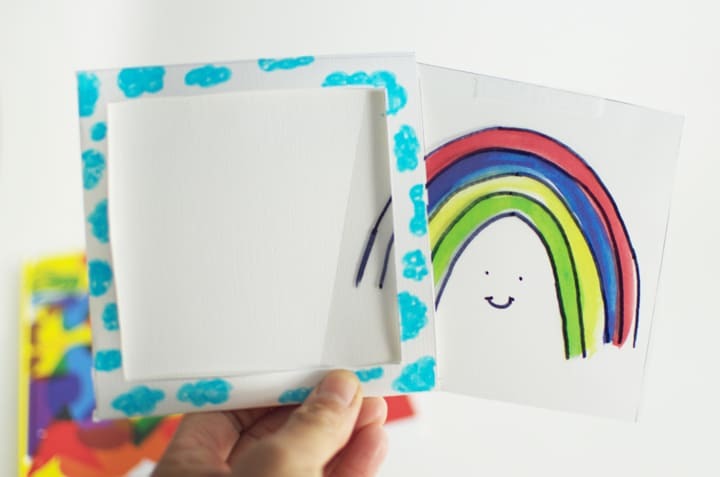 Here’s a fun rainbow craft that’s also a magic trick. And your child will have hours of fun sharing it with their friends! 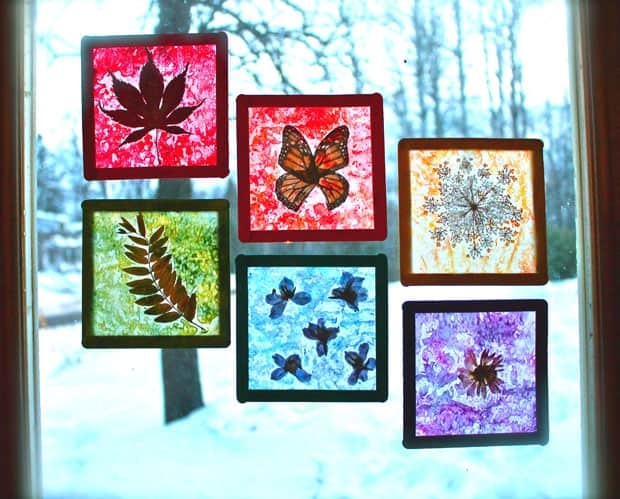 Your child can collect fallen leaves and flowers for this rainbow nature craft, and then turn them into beautiful suncatchers that will look great displayed in your window. We made some beaded suncatcher just like this last summer! They’re brilliant for practising those all important fine motor skills, and you can throw in a little pattern work too. And at the end you have something beautiful to hang in your window. Or do what we did and hang them in your fairy wishing tree in the garden! Oh how fabulous are these! I’ve put things into plastic eggs to make shakers before but never thought to turn them into maracas! This is a super fun craft that will then keep your kids busy being musicians! 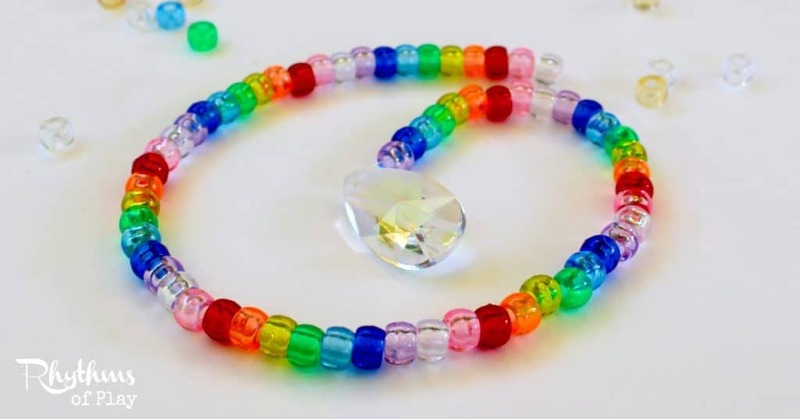 Get those pony beads out again because we have another suncatcher craft to use them for! I love how this one is actually shaped like a rainbow, it looks so pretty in the window. And of course it’s a fun way to learn colours! Oh these are GORGEOUS! 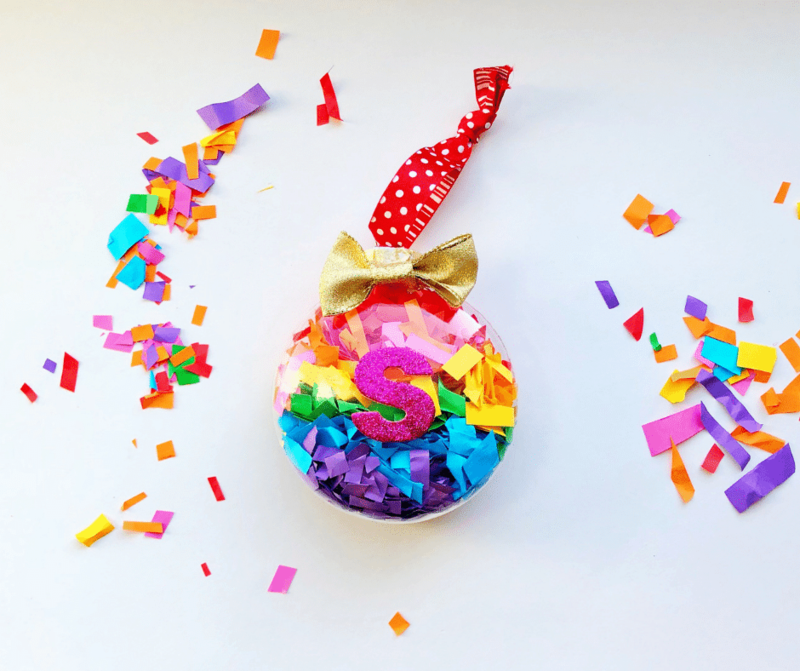 And what a great way to get some scissor practice in, making the rainbow confetti to fill these baubles! Don’t save them for Christmas, if you add the monogram initial they’d be perfect to hang on your child’s bedroom door! 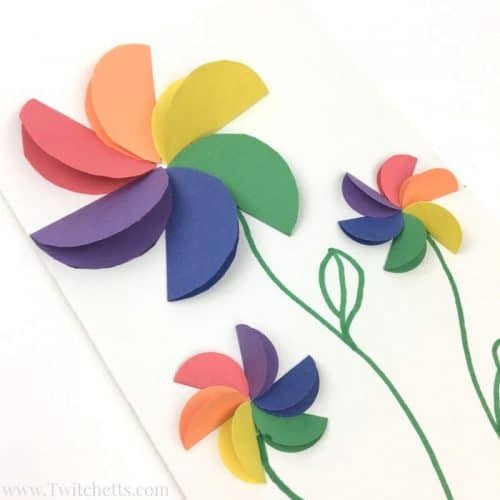 These rainbow paper craft flowers are another opportunity to practice those scissor skills. And when your child is done cutting them out they can turn them into a fabulous Mother’s Day card. Or why not stick the flowers to canvas so you can hang them on the wall? Previous PostPrevious BBQ Chicken Casserole Recipes that Even the Kids Will Eat!